The author shares her own journey through Native American stories of her discovery and how you can access the many teachers too. Walk the path of the mystic daily and transform from chrysalis into butterfly. "I believe that how we live our daily lives are our mystical paths. We try to work from the heart chakra, that fulcrum between our lower three chakras and those above the heart. Without heart being involved, we will never truly make that quantum leap, that ascension, that transformation from chrysalis to butterfly. That means we must place mind chatter and logic in a place of balance with our emotions, feelings, and intuition, or inner knowing, in order to strike the harmony or balance in order to be prepared to make this conscious change from gross physical body into living, radiating spirit that glows from the inside of us outward and extends into our everyday lives in our everyday world. "How we live life daily is the real testament of our spirits, which struggle to do the right thing to earn that vaunted transformation. As in no time in our human history have we been given the gift of the self-empowerment to blend our human selves with our mystical, heart-centered selves. "We are all mystics, whether we realize it or not. Our spirits inevitably hunger for communion with God, Great Spirit, or whatever your belief system holds for you. Being a mystic isn’t easy. It’s challenging in every way. Saying you are a mystic is saying that you are on an inner journey deep into the subconscious well of yourself in search of your own unique truth—whatever that might be. 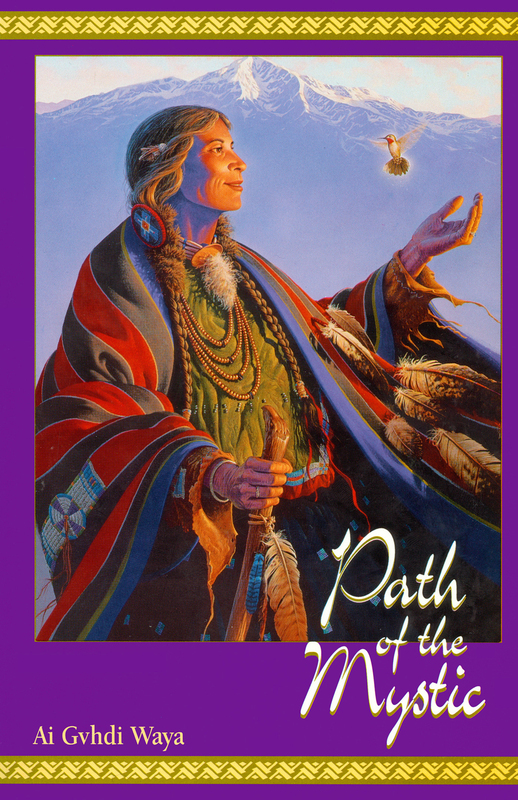 And walking a mystic’s path means listening to inner teachers and guides not outer ones. Once you get into your flow—and you will know that you are in it by the synchronicity of events that seem to keep popping up on an everyday basis—you will feel different. That does not mean you feel superior to anyone; but being in that mystical flow will give you a new level of self-confidence and self-esteem. "When you are in the flow, your life will work for you. When you’re out of that mystical flow, you will encounter all kinds of walls, blockages, and inability to make things work, whether it’s in your personal life, your career, or your goals and dreams. "I wish you an exciting, fulfilling inner journey into self-hood and transformation: the path of the mystic."